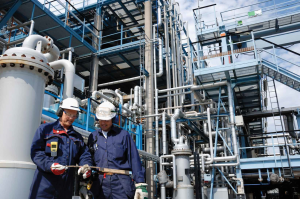 Parker media is long established for use in the Natural Gas market and may be used in the filtering of natural gas in production, treatment, pipeline and distribution processes. Parker can provide a positive impact on efficiencies in each of these processes. 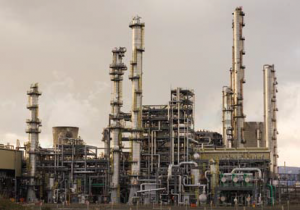 Parker offers a range of high efficiency filtration media to suit almost any gas filtration application. From removal of bulk water with steel mesh separating media to 99.995% efficient glass micro-fibre coalescing elements, Parker has the capability to deliver solutions tailor made to your process requirements. Natural gas comes from underground, and thousands of kilometres of pipeline exist around Australia to transport the gas. Compressor stations located along the length of pipeline move the gas from the wellhead to distribution points. 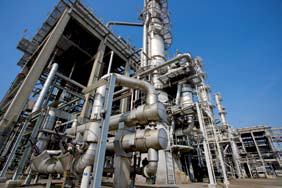 However, the raw gas from the ground requires processing and refining before it is ready for use. The installation of Parker filters makes it possible to improve process efficiency and provide optimal process protection. The rigid, graded-density structure of Parker filter products efficiently removes solids and contaminants that would quickly plug competitive filters. Natural gas comes from the ground. Once a gas site has been identified, a well is drilled and the gas is extracted from the ground. 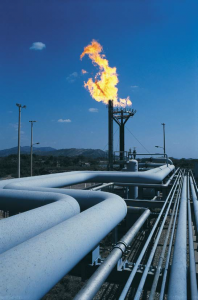 Raw natural gas exists in mixtures with other hydrocarbons, water vapour, and acid gas, along with other contaminants, and must be treated prior to transport. Landfill waste decomposes and produces landfill gas. This gas consists mainly of methane and carbon dioxide. Landfill gas is naturally dirty and contains particulate and moisture. Filtration of the collected gas entering into a compressor will eliminate contaminants that would otherwise damage downstream equipment. Production of digester gas involves converting animal and food processing waste into digester gas, bio gas. The resultant gas will contain impurities such as water, condensed gas liquids and hydrocarbons that must be removed prior to transport for use or storage. With over 6 million CNG vehicles and 7,500 fill stations in use globally, the prevention of solid and liquid contamination from damaging CNG fuel dispensing systems and CNG vehicles is vital. The installation of Parker filters in these processes can provide an increase in the efficiencies for CNG market distributions.